Keeping track of the latest energy news. Crown Prince Mohammed bin Salman of Saudi Arabia launched the country's first nuclear power plant project as the kingdom seeks to diversify its traditional dependence on oil and compete with rival Iran. Even though the administration of President Donald Trump was imposing economic sanctions on Iran for its nuclear research program, Salman was heralding the start of a new era for Saudi Arabia in the City of Science and Technology of King Abdulaziz in the capital city of Riyadh. 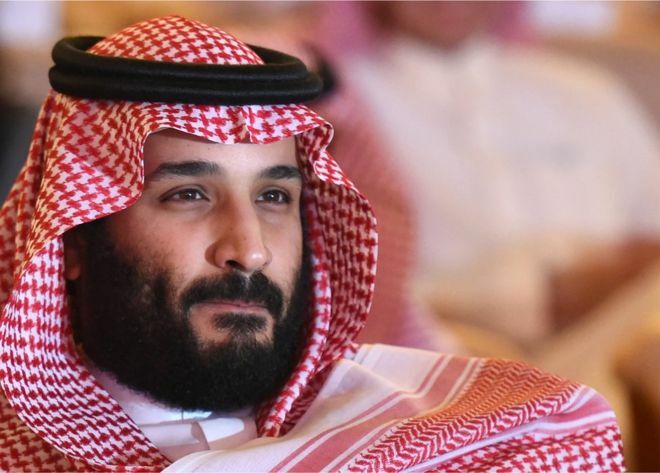 The crown prince launched seven new strategic projects related to renewable energy, nuclear power, water desalination, genetic medicine and the aviation industry, Reuters reported. The initiatives are part of the country's commitment to get out of its economy traditionally focused on oil. The nuclear plant is the first of the 16 planned by the Saudis in the next two decades, at a cost of $ 80 billion. The kingdom's plans have been precipitated by its ongoing regional struggle for the influence of Iran, which already has a nuclear power program. Saudi Arabia's offer to establish an atomic energy industry will be assisted with investment and advice from EE. US, although the Trump government has said it will maintain strict control over any effort to put the investigation together, according to Reuters. A few details about the plant have been released, Radio Free Europe said, but it is likely to be used for research, development and education purposes rather than to produce electricity. The project will be oriented towards civil and peaceful uses of nuclear energy. However, Saudi Arabia's nuclear pivot has raised concerns that a nuclear arms race could develop in the Middle East. In March, Salman publicly warned that Riyadh would work to develop atomic weapons if Iran does the same, according to CNBC. Although Trump has withdrawn the United States from the nuclear agreement of the Comprehensive Plan of Joint Action with Iran, the leaders in Tehran are still hopeful that the agreement can survive his presidency. The other signatories of the agreement - China, Russia, the European Union, France, Germany and the United Kingdom - still support the agreement, which creates hopes that the restrictions imposed on Iran's nuclear research will be maintained. But the White House believes its punitive sanctions can bring Tehran to the negotiating table to agree on a more beneficial agreement for the United States. Trump wants a new agreement to include restrictions on Iran's ballistic missile program and its influence on regional conflicts in Syria, Yemen and Iraq: concessions that Tehran has rejected. If this fails, reports suggest that Trump, Secretary of State Mike Pompeo and national security adviser John Bolton believe that sanctions combined with existing anti-government sentiment could even provoke regime change, according to the Washington Post. Saudi Arabia has participated in nuclear research in other countries in the past. It has been suggested that the country's role in helping Pakistan join the nuclear club was agreed on the basis that the Saudis could buy bombs manufactured in Islamabad if the regional situation deteriorates, according to the BBC. Both countries have denied these suggestions. According to the Middle East Monitor, other security sources and reporters have claimed, without concrete evidence, that Israel is selling nuclear information to the Saudis to ensure that Iran does not become the only other regional power with the bomb. The ruling Saudi royal family faces widespread criticism for the apparent murder of journalist Jamal Khashoggi at the country's consulate in Istanbul on October 2. The alleged participation of the crown prince and the upper echelons of the Saudi government has led some US lawmakers to recommend that the United States should move away from the close relationship that has developed between Washington and Riyadh. The construction of Egypt's first Al Dabaa nuclear power plant with the participation of Russia's Rosatom state corporation will start around June 2020, after all the necessary documents are obtained, said the president of the Egyptian authority for nuclear power plants, Amgad Wakeel. "The first preparatory phase that began in December 2017 and is being implemented now will take approximately two and a half years," Sada El Balad told the newspaper. He specified that in this period Rosatom plans to receive all the necessary permits and licenses, will also finish the construction of the infrastructure. According to Al Wakeel, the second stage foresees the construction of reactors and will last about five and a half years. He added that the same stage also provides for the training of personnel for the plant. The last stage, the third, will take a year and will include the granting of the license for the launch of the plant and all the start-up works. The contracts for the construction of Al Dabaa came into force on December 11, 2017, after the director of Rosatom, Alexéi Lijachov, and the Egyptian Minister of Electric Power and Renewable Energy, Mohamed Shaker, signed the corresponding minutes in the presence of the leaders of Russia and Egypt, Vladimir Putin and Abdelfatah Sisi. 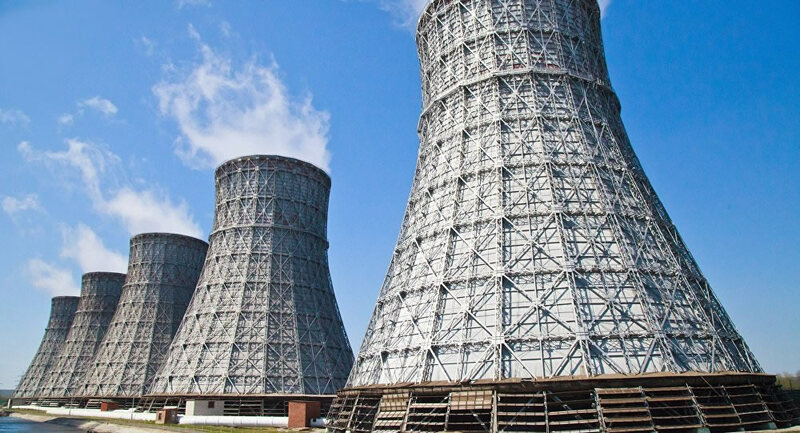 The plant will have four VVER-1200 pressurized water nuclear reactors, each with a capacity of 1,200 megawatts, which enjoy greater safety and improved economic and technical parameters. Scientists at the University of Tokyo has recorded the largest magnetic field in the laboratory: a huge amount of 1,200 teslas, measured in standard units of magnetic field strength. In comparison, this is a field strength 400 times greater than those generated by the large and powerful magnets used in the MRI machines of modern hospitals, and is approximately 50 million times stronger than the Earth's own magnetic field. . Previously stronger magnetic fields have been achieved in outdoor experiments using chemical explosives, but this is a world record for magnetic fields generated in the interior in a controlled manner. That greater control means that the discovery could open new frontiers in solid-state physics, perhaps allowing scientists to achieve what is known as the "quantum limit," a condition where all electrons in a material are confined to the state fundamental lower, where exotic quantum phenomena can appear. The high magnetic field also has implications for nuclear fusion reactors, a potential future tantalizing source if not carried out with abundant clean energy. To reach the quantum limit or sustain nuclear fusion, scientists believe that magnetic field strengths of 1,000 tesla or more are needed. The experiments that set the new world record are described in an article that appears this week in the Review Review of Scientific Instruments, by AIP Publishing. The work opens a new scientific horizon, said Daisuke Nakamura, first author of the article, and "has pushed the limits of ultra-high magnetic fields." Can you imagine a world in which energy is totally clean and affordable? It is very likely that you live in that same world, but about five decades away. 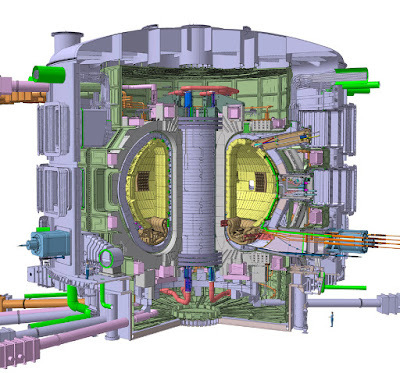 ITER is a project that involves a good part of humanity and pursues the dream of clean and free energy. All thanks to nuclear fusion. Although "nuclear" has pejorative connotations inherited from the last century, experts say fusion will be the sustainable energy of the future. Along with international projects such as the International Space Station (ISS) or Square Kilometer Array (SKA), ITER is one of those remarkable and beautiful companies that unite us all. The kind of initiatives that love science. When we talk about nuclear fusion, we often confuse it with nuclear fission. Both are chemical processes that release large amounts of energy, but their operation is totally different. Its consequences too. Fission consists of dividing a heavy nucleus into two smaller ones. As a result, radioactive waste of various types appear. Nuclear fusion has nothing to do with that, but with a reverse chemical 'operation'. By joining two very light atomic nuclei they form a heavier stable nucleus and release energy. This energy is clean, and in fact it is the mechanism that the Sun uses to generate light. This sunlight is nothing but photons that reach our planet. 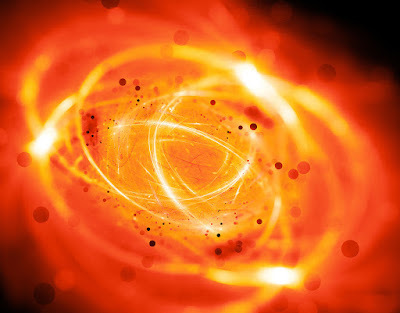 A nuclear fusion reactor, or Tokamak, an acronym for the Russian "toroidal chamber with magnetic coils", copies this solar mechanism to generate electrical energy from the plasma. HOW WILL THE ITER REACTOR WORK? In the Sun, fusion reactions take place in its core, and not in the mantle or crown. In fact, it takes a great pressure and temperature to compress the hydrogen nuclei against each other, forming helium and releasing energy. Formally, the most efficient reaction is that between two isotopes of hydrogen, deuterium and tritium, although these are technicalities. We can call it simply "plasma". Although on Earth we have all the elements to form this fourth state of matter, there are no natural conditions of pressure and temperature. Neither inside a volcano, in case the reader has a doubt. With the Tokamak (below we see the JET of 1997), we seek to achieve similar conditions for the solar plasma and thus achieve a stable reaction that releases energy. A Tokamak is a structure in the form of a toroid (a donut, the yellow zone in the diagram above) through which the plasma moves at high speed. This plasma is enclosed within a ceramic vessel, but it is not this that presses to contain it. They are great magnetic fields that imprison the particles in an invisible structure called "magnetic confinement". Good part of the technology to accelerate these particles comes from the LHC, and another so much is more known by the general public. The plasma of protons, deuterium and tritium, when compressed, emits enormous amounts of heat. With this energy steam is heated, and this is transferred through a turbine. 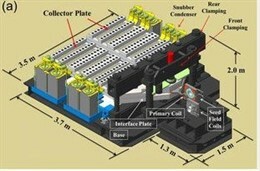 This latest technology is used in a multitude of power plants, from thermoelectric to nuclear. Throughout our history we have achieved enormous milestones when we have used science for common goals. The Large Hadron Collider (LHC), the Gravitational Wave Detection Observatory (LIGO), the International Space Station (ISS), the Super-Kamiokande or the Square Kilometer Array (SKA) are some of the most talked about examples. ITER is part of them, a project in which 35 countries directly participate. These types of associations, which promote scientific and technological development as well as collaboration between countries, also make possible the exchange of ideas and mutual learning. By itself, it is already remarkable the fact that 35 nations have agreed to finance this type of prototypes (ITER is that). Of course, the size of the project makes it impossible for a single nation to carry it out. But it is even more interesting that the International Thermonuclear Experimental Reactor pursues the ultimate goal of generating clean energy, and that it does so in the very long term. Once built it will be the largest Tokamak in the world. This will not be for quite some time. The assembly phase is starting and the reactor will not start up until 2024. The first plasma will be introduced a year later, but it will not be until 2035 when the merger operation starts. In addition, this reaction will not be profitable. That is, the reactor will consume more energy than it will generate. As an energy source it does not seem very smart, but there is a lot of work ahead. A lot of checks and measurements. Of gradual improvements and iterations. There are currently 2,000 people working directly in purely civil engineering work. That's the size of the project, not counting physicists, chemists, managers, diplomats, manufacturers and several dozen more direct jobs. More indirect ones And they do everything for and for future generations. We have mentioned the long term, but let's put another calendar ahead to see it in perspective. In 2035 the first tests with plasma will be made. In 1995, JET, the precursor project of ITER, managed to generate an electric power of 16 MW, while its older cousin seeks to generate 500 MW. Even so, ITER is purely experimental. It will not be used as an energy center. For something like that, we have to travel much more to the future, to 2050, when the ITER tests have gone well and the first commercial plant has been built. By then, at least 139 countries will use only renewable energy. The exploitation of ITER, if everything goes well, could be a fact in 2060 or 2070. Although it is unlikely that everything goes according to the calendar, which already has decades of delays. The last one in 2017 with Trump. To situate ourselves, the origin of nuclear fusion centers goes back to Gorbachev and Reagan. It will be the children or grandchildren of the project engineers who will benefit from its results. It is likely that children will be born on Mars before we have been able to stabilize the reaction within the following Tokamak reactors. Or, put another way, it is unlikely that the people who work in the ITER project will see its final results. The clean energy of the future needs present actions. That today there are professionals dedicating their lives to this type of projects makes it one of the most beautiful of humanity. One that we do between all and for all. Hotter than the center of the Sun was the plasma (an electrically charged gas) obtained by the private Tokamak Energy last month in England. He achieved this by heating hydrogen to a temperature of 15 million degrees inside an experimental reactor. It was one more step in the race to tame an artificial mini-auction to get its energy milked. 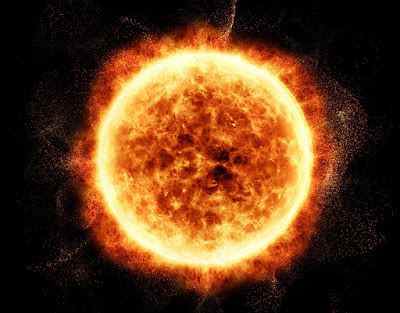 The concept behind is known as nuclear fusion and, unlike nuclear fission - which derives energy by pulverizing atoms and generating waste that remains for decades - here what is achieved with high temperature is to unite the nuclei of two atoms to form one different, which means releasing heat, as it happens inside the Sun. Its raw material (hydrogen) is cheap and the radioactive waste lasts less time. 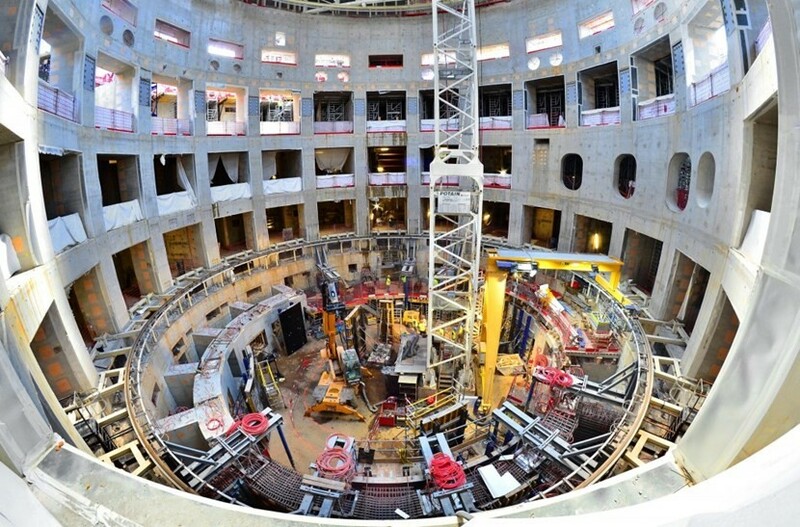 The British project wants to take advantage of ITER, the experimental mega-reactor that has been building, for a decade, an international consortium led by the European Union in Cadarache, in the middle of the French countryside. The ITER will be completed in 2025, when it is expected to generate its first plasma, but it is estimated that only in 10 more years it would be able to produce energy efficiently. A similar path in terms of deadlines follows 10 national research programs in the United States, Korea, China and the United Kingdom, each with a budget of around 100 million dollars and which, to a greater or lesser degree, have already achieved their goals. small artificial suns and even generate energy, but tiny. But as it seems to happen in the space race to Mars, the private could advance in several years. Counting Tokamak Energy, at least 20 private companies are developing their own projects in a reserved way and only know about them when they obtain favorable results. "This does not mean that what they do is not of quality, only that we do not have enough information to know it," acknowledges the physicist of the U. de Chile Leopoldo Soto. While mergers have been achieved experimentally for more than 50 years, another thing is that they are long enough in time to take advantage, recognizes Soto. 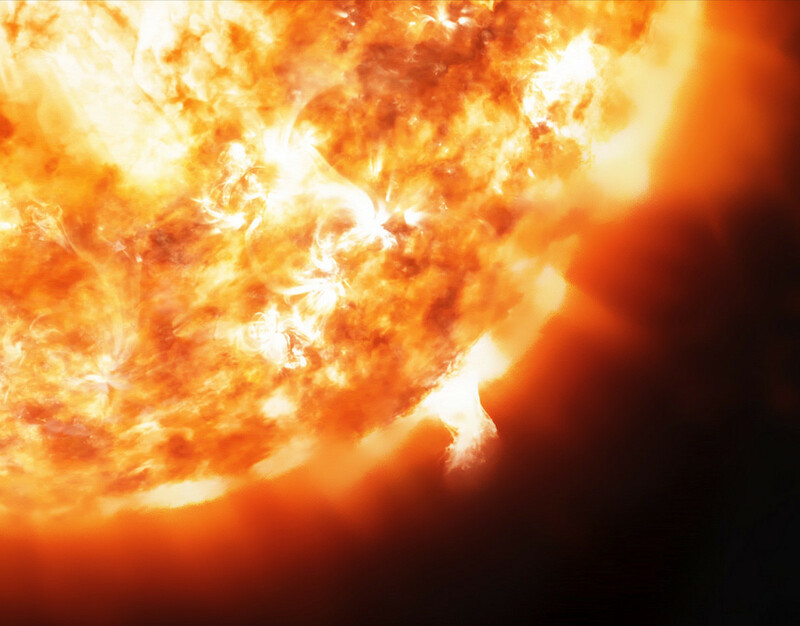 For that it is necessary to get temperatures close to 100 million degrees, 10 times that of the Sun's core. At that temperature, the plasma would be stable enough, so that a sufficient amount of nuclear reactions can be produced that result in an amount of energy greater than injected. At Tokamak Energy they say they could get a plasma of 100 million degrees as early as next year. If that goal is met, the company plans to produce energy on an industrial scale by 2025, when ITER will just start its experiments, which would be a major blow for the international consortium. "Our goal is to make fusion energy a commercial reality by 2030," says Jonathan Carling, CEO of Tokamak Energy. But it is not enough to reach high temperatures. Another obstacle to a stable fusion is that there are still no materials that resist the damage to which the walls of the experiment will be subjected by containing the plasma from which the artificial sun is formed, says Soto, who in the Chilean Nuclear Commission has successfully developed mergers at a minimum scale. For the plasma to be tamed, one of the options is to be contained within a kind of magnetic prison. In the case of ITER, the first of the 18 magnets that will form this shield is already built. To get an idea of ​​the dimensions of the experiment, each magnet measures the equivalent of a four-story building and weighs more than a Boeing 747. The plasma is confined to the shape of a picard, but transfers its heat to the walls. The longer the content, the more efficient the process will be and the less damage the reactor will cause. 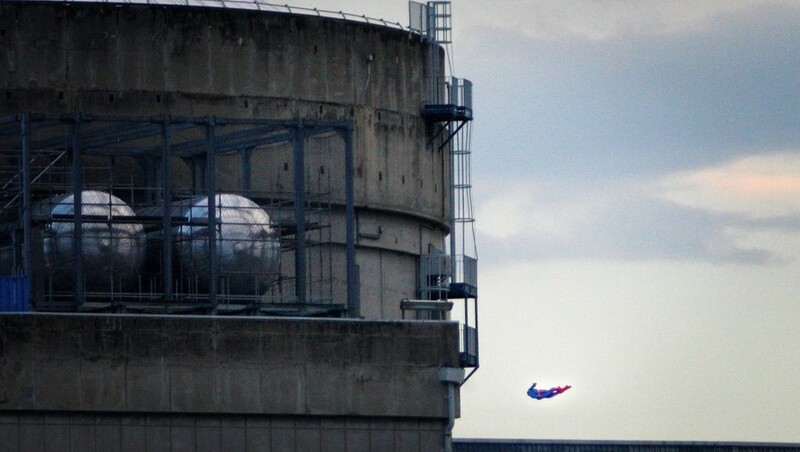 A Superman-shaped drone piloted by Greenpeace activists flew over a nuclear power plant near Lyon on Tuesday morning before crashing into a "vulnerable" building in the atomic complex, according to the environmental NGO. The EDF energy group confirmed the overflight "of the Bugey nuclear power plant" in Saint-Vulbas (Ain) but excluded any impact on the safety of the facilities. This "highly symbolic" action announced by Greenpeace was aimed at demonstrating the "vulnerability" of spent fuel storage pools. In a video released by the NGO, a small Superman is seen flying and crashing without anyone doing anything about it against a building of this type in the premises of the EDF power station in Saint-Vulbas. "After putting it in the no-fly zone, the activists deliberately slammed it into the wall of the used fuel storage pond, next to reactor 2. This action demonstrates once again the extreme vulnerability of this type of building, which is the which contains the highest radioactivity in a nuclear power plant, "the NGO said in a statement. "This action is highly symbolic: it shows that spent fuel storage pools are very easily accessible, this time by air, and therefore eminently vulnerable to the risk of external attacks," adds Yannick Rousselet, in charge of the nuclear campaign for Greenpeace France. Although the Greenpeace action did not generate any damage to the plant or had any impact on the safety of the plant, it is a crime foreseen in the defense code, which will lead to a complaint, said the securities. A handful of years ago, in 2014, in France, drones were frequently seen flying over nuclear facilities. It was never known who they were or what their intention was. At least seven nuclear plants were flown over. The artifacts were not neutralized because they did not pose a direct threat to the security of the facilities. All the incidents took place around 9 pm on the Penly (northwest) and Golfech (southwest) power plants. The results of the research, which has been published in the National Academy of Science of the USA under the title "US nuclear power: The vanishing low-carbon wedge" -'The nuclear power of the USA: the opportunity low in carbon that vanishes' -, are based on the analysis to which 99 nuclear reactors controlled by 30 companies in 30 states of the country were subjected. As of 2017 there are 34 reactors that have been closed when they reach their useful life, and only two are being built. And this at a time when it is more pressing than ever to tackle the issue of climate change, warns the report. The nuclear reactor fleet in the United States is made up of large light-water nuclear reactors ('LWR', for its acronym in English). During the last three decades, 20% of the energy generated by the United States has come from these reactors, now outdated and whose maintenance and reconditioning are excessively expensive. Especially if compared to natural gas, much cheaper. "We are asleep at the wheel on a very, very dangerous highway (...) We really need to open our eyes and study the situation," says Ahmed Abdullah, a professor at the School of Strategy and Global Policy at the University of California at San Diego. one of the authors of the report. 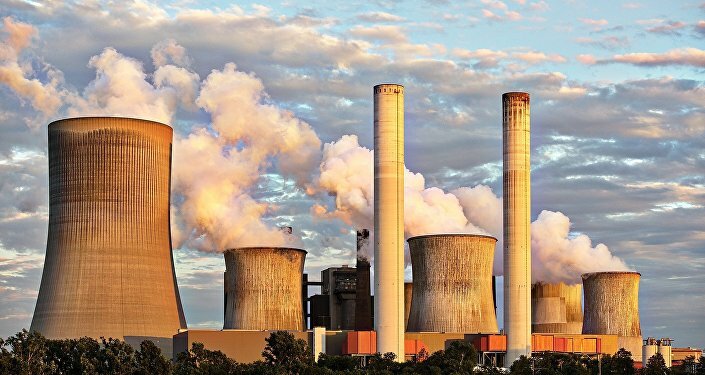 The rest of the researchers warn that the boom in the US industry, which is very polluting, could lead to a significant number of nuclear power plants closing down over the next few years. They explain that the country is at a serious crossroads: either completely abandon nuclear energy or adopt the next generation of small modular reactors, more efficient and whose cost is considerably lower. The authors of the study warn that this dilemma has been reached not because of the shortcomings of the United States in technical matters, but because of lack of will. Because of how the energy market is set up, researchers are not convinced that nuclear power will be competitive in the future. At the same time that efforts are being made to improve the capacity of the electric batteries that are used to store solar and wind energy, natural gas is also being promoted a lot. As of 2018, fossil fuels are responsible for 32% of the energy consumed by the United States. So, in case the collapse of the US nuclear industry ends up being a reality, researchers doubt that the benefits of renewable energy will be enough to fill the gap. Hence, the conclusions of the report are so clear and premonitory: "It should be of great concern to those who are concerned about climate change that, because of predictable problems that have a solution, the United States has all of them to lose its nuclear power and , therefore, a reef of renewable and low carbon energy in the decades to come ". 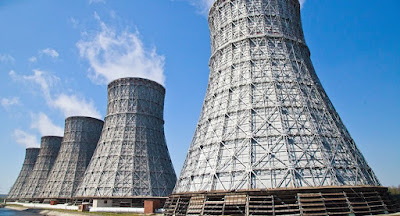 The Russian state corporation Rosatom and the Rwandan Ministry of Infrastructure signed a memorandum on cooperation in the civil use of atomic energy, Rosatom said. Rosatom Deputy Director General Nikolai Spasski and Rwanda's Ambassador to Russia, Jeanne d'Arc Mujawamariya, signed their documents at the bottom of the document. "The memorandum is the first document signed by both countries on the civilian use of nuclear energy, laying the basis for cooperation in various sectors, developing the nuclear infrastructure of the Republic of Rwanda, developing programs to better inform the population about nuclear technologies and to organize the use of isotopes and radiation technologies in industry, agriculture and medicine, "the statement said. Mixed working groups will be created to determine joint joint projects, and an intergovernmental framework agreement will be prepared as a next step, it says. Recreational navigation can also be linked to the protection of the environment. Although at the moment the proposal is only within the reach of a privileged minority, the catamaran Soel Cat 12 is presented as the cleanest alternative of the oceans. It is not the first or the only yacht powered by photovoltaic technology but it is undoubtedly one of the most advanced and luxurious models in the world. The pollution caused by this yacht originating in the Netherlands and manufactured in New Zealand is so small that the local authorities of Bora Bora (French Polynesia), where one of the prototypes of this modern catamaran sails, have decided to apply a significant tax credit. Some media have chosen to qualify SoelCat 12, as "the Tesla of yachts" (in reference to the well-known brand of electric vehicles). Two elements give the reason. On the one hand, it is a ship driven by the electricity of the photovoltaic cells installed on its roof. In addition, the price of the first prototypes of this catamaran of the firm Soel Yacht are only available to some privileged: about 500,000 euros, according to some sources not confirmed by the manufacturer. The first yacht of the Soel Cat12 model, baptized as Okeanos Pearl, has been developed by the company Soel Yachts, with the collaboration of the Okeanos Foundation and the Bora Bora Pearl Beach Resort. 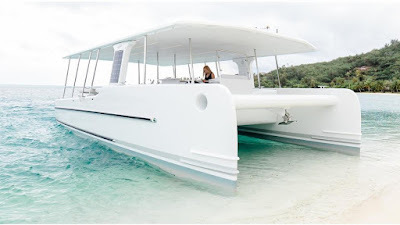 This luxury boat is offered for cruises to visitors from this area of ​​Polynesia, with the added value of being a new proposal in favor of the ecological tour. The electric boat is completely silent and when it is not sailing it becomes a small electricity production station to supply the local network. The promoters assure that the photovoltaic plates of this ship can produce the necessary electricity for quartan homes in this area of ​​the planet. In addition, whenever possible, the electricity from these plates is used to run a local seawater desalination plant (with a production of up to 4,000 liters of fresh water every hour, says Soel Yacht. In a normal day of navigation and sun, the photovoltaic plates allow a speed comparable to catamarans powered by combustion engines and, in addition, their batteries can accumulate the energy necessary to continue sailing for another eight hours (without sun). "The dependence of tourism on fossil fuels is problematic, especially in remote areas. In the interest of the boat operator, the solar option is much more attractive, "according to Susanne Becken, director and professor of Sustainable Tourism at the Griffith Institute of Tourism. The SoelCat 12 model has two groups of 60 kWh lithium-ion batteries, with a total capacity of 120 kWh. The Okeanos Pearl yacht has capacity for 16 people and is currently being used for tourist routes in Bora Bora and rent for days. It's a conspiracy I tells ya! Is nuclear the most independent energy source? Have the Tories just saved their immortal souls?